Multi-Fix W.A. is a Perth based company specialising in the supply of construction fasteners to the manufacturing, construction and industrial market segments. The company\'s main focus is on Self-Drilling Screws but has an extensive range of Specialised Fastening Systems, Nuts, Bolts, Rivets, Adhesives, Sealants, Power Tools and a whole lot more. 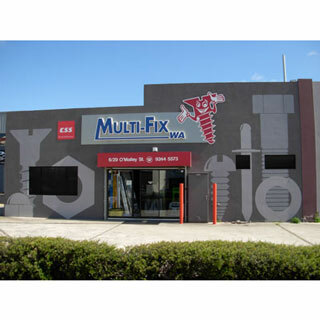 Operating form an office, showroom, warehouse premises in the industrial heart of Osborne Park, we provide excellent support of our product range through our experienced staff, knowledge of the industry and after sales service second to none. We deal in system solutions and provide total needs sourcing packages for all of our customers.